For all that was rumored about The Last Jedi before its release, one of its greatest surprises was a brief, but special appearance by a very familiar Star Wars face. But bringing back such a beloved character was a daunting prospect for the team behind the film—not just for story reasons, but from a physical design standpoint. 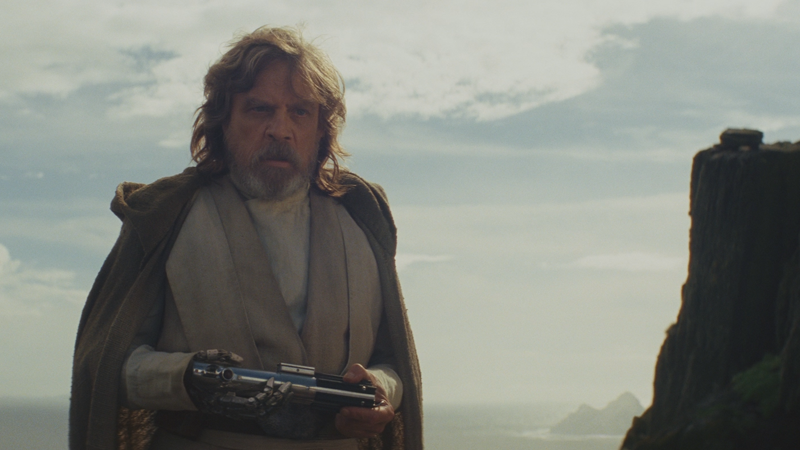 Yoda’s Force-spirit appearance in The Last Jedi is brief, but fundamental to the movie’s take on Luke Skywalker, as well as its overarching themes of letting go of the past and learning from failure. But Yoda’s presence in the movie also had to achieve something equally important: the character’s actual look and feel, especially as a continuation of how we saw Yoda in Empire Strikes Back and Return of the Jedi. In the years since we’ve seen Yoda primarily as a CG character, whether it’s in the Clone Wars cartoon or his CG appearances in Attack of the Clones and Revenge of the Sith—which became pretty much the default Yoda “look” for so long that eventually the kinda-dodgy puppet of him seen in The Phantom Menace got painted over with the CG Yoda in the 2011 Blu-ray rerelease. To know that we were going to have Yoda, we just said, ‘Look we need to go back and look at Empire Strikes Back, we need to look at how Stuart [Freeborn] created Yoda because that is the most pure puppet moment. It’s Frank Oz, who is one of the greatest puppeteers ever, and we knew that Frank was going to redo this. We just felt that it was absolutely right and proper that we create the puppet in the closest likeness to the original and to give Frank exactly what he had the first time around. I remember saying to Rian [Johnson] that if we were going to do it, we couldn’t make him too much of a ghost because it would deny everybody the joy of seeing him solid and real. The [VFX] guys then came in later and added a really lovely glow, which I think just reminds us of the fact that Yoda is there as a ghost, but is there enough for you to really feel that you’re not being cheated. With his most important lesson passed on, and Luke joining him in the Force, The Last Jedi probably marks the last time we’ll properly see Yoda at this point in the Star War movie timeline—so getting this faithful recreation for his “final” appearance was definitely worth it.